Netball… But not as you know it. 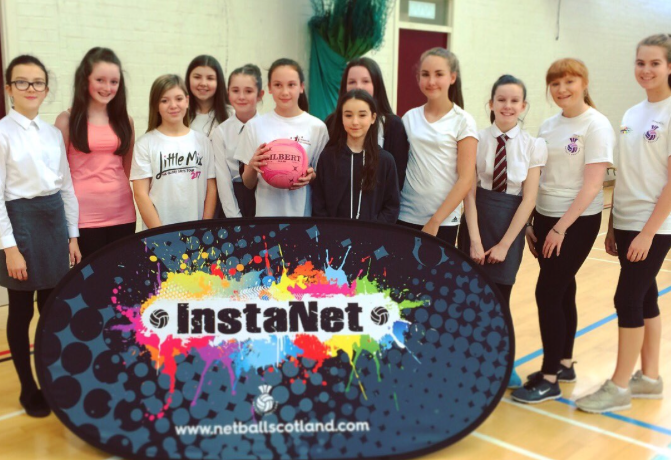 Much like our Bounce Back to Netball programme, InstaNet is recreational netball without structure and hard-fast rules, played in the gym hall in high schools across Scotland. The sessions are for all ages, abilities and genders. We encourage the use of social media for promotion of the sessions and emphasise the use of music to make the session as fun and engaging as possible. Each session is completely participant lead and facilitated by an InstaNet Activator. 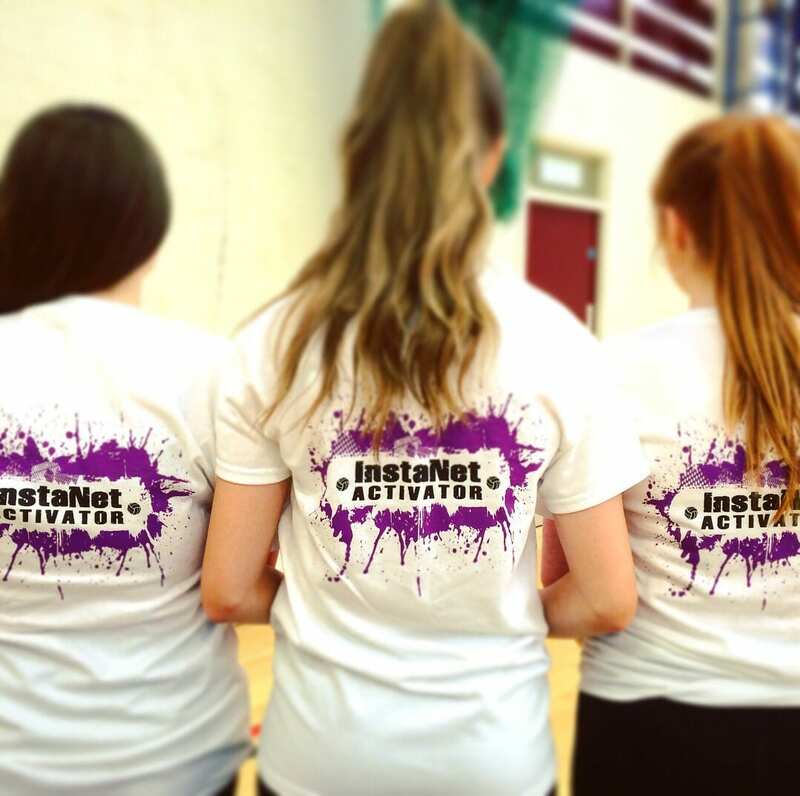 InstaNet can be used as a platform to target inactive and disengaged pupils within a secondary school. The programme has been developed to empower seniors to fit into the role of the InstaNet Activator and they are responsible for organising and taking ownership of the club. In doing so, they get access to our InstaNet resources including a range of small sided games and posters which they can use to promote their club. 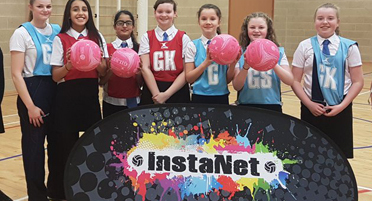 They also have the help of the Community impact Team who have been doing Netball Leaders Training, and signposting all Activators to further volunteering opportunities through Netball Scotland. Organise and run high quality, fun and encouraging InstaNet sessions. Work with your school to decide the best way to plan and promote your club using the resources provided. Plan and prepare each netball session, using the resources where appropriate. Discuss and review sessions with players, other activators and relevant teacher and Netball Scotland (NS) Community Impact Team. Advising participants on basics of the game including hints and tips. Complete all administration. Facilitate a simple and efficient registration process by filling in all required fields. Report regularly to relevant teacher or NS Community Impact Officer. Ensure a safe playing environment by adhering to all appropriate venue policies and procedures e.g. Health and Safety, Risk Assessment, Equality without forgetting this session is to be fun. Retain and increase player numbers by creating a player centred approach, having a positive attitude and creating a positive impression of you and your school.